This demonic-looking rabbit costume will instill fear in all that saw Donnie Darko. Plush fur suit with attached gloves and over-the-head latex mask. One size fits most adults up to size 44. 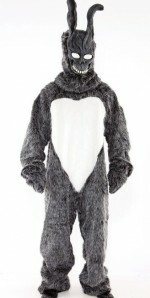 Copyright © 2011 Donnie Darko Costume. All Rights Reserved.